Esther Manito: Finalist in Bath New Act Of The Year 2017 and So You Think You're Funny 2017. Jake Howie: Crowned the Reading Comedy Festival New Act Of The Year. 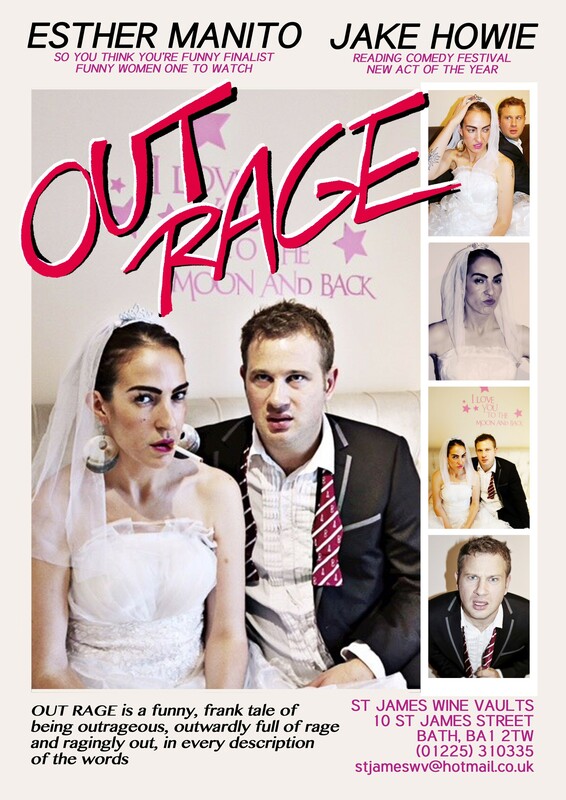 OUT RAGE is a funny, frank tale of being outrageous, outwardly full of rage and ragingly out, in every description of the words. Esther and Jake bring a warm, engaging and utterly hilarious take on the world, ensuring audiences leave with a smile on their faces.